KleenGuard Personal Protective Equipment (PPE) enables rather than inhibits – allowing for maximum productivity and safety for you and your employees. 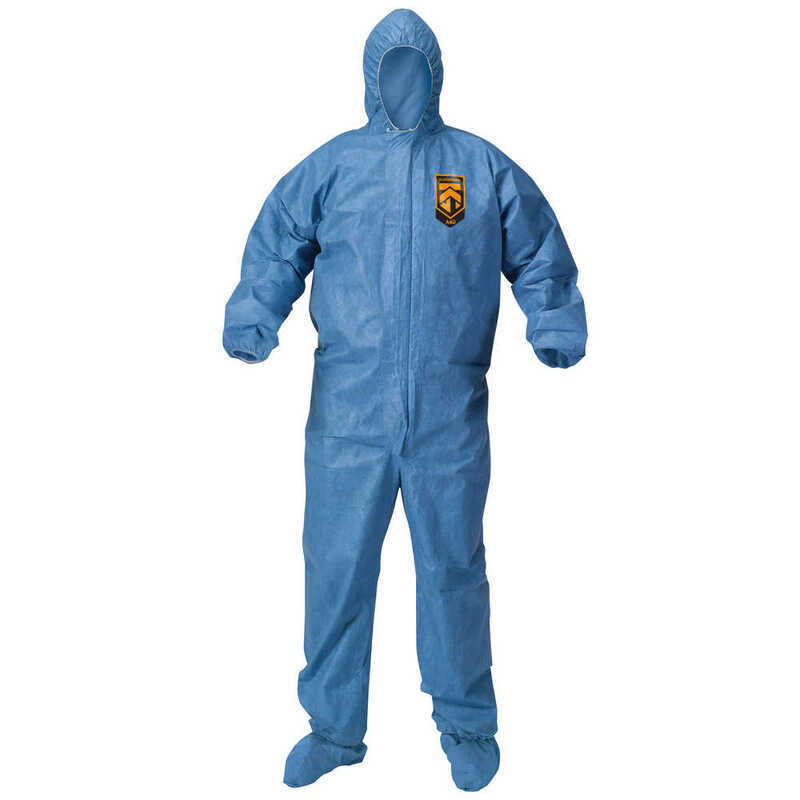 Protection against bloodborne pathogens in forensic or other environments where exposure to blood is possible. KleenGuard™ A60 also provides protection against some chemicals -- please consult Technical Data Sheets or Product Selector Tool for proper assessment of chemical resistance. Style: Hooded & Booted - Zipper front with storm flap; Elastic wrists; Elastic across the back. (MTO ITEM) -- this size is available on Made-to-Order which requires 30 case minimum order per product code. Product will be available within 8 weeks of order receipt. Features: - REFLEX* design - Three-layer fabric construction features a middle layer of microporous film that allows heat and sweat vapor to escape while protecting against dry particulates and liquid. - Passes ASTM F1670/1671‡ testing for penetration of blood, body fluids and bloodborne pathogens. - Seamless front provides more protection in primary exposure areas - Taped storm flap - Outer layer provides protection of film barrier against tearing and abrasion TYPICAL USES: Animal research; Emergency medical response; Crime scene cleanup; Embalming/Forensics; Tank cleaning; Fiberglass manufacturing; Liquid handling; Food Processing. Making the right Personal Protection choice is difficult. Perform with distinction with KleenGuard Personal Protective Equipment (PPE).